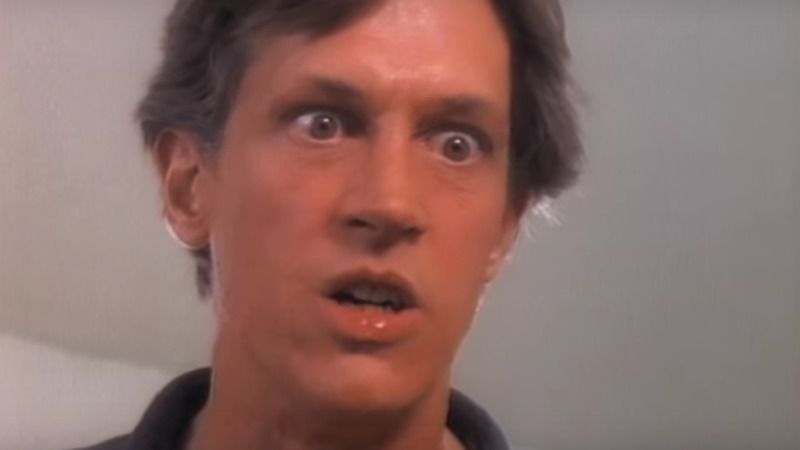 Back in 1984, a M-16 carrying father with anger issues could yell at his son for being “worthless and weak,” and then five questionably dressed grown men with heavy eye makeup could proceed to beat the hell out of that same abusive father, and it was considered comedy gold… borderline Oscar-worthy I would have argued back then. Fast forward almost 35 years and I don’t think this video gets very far before activist groups supporting gender neutral persons weigh in on these five men known as Twisted Sister (TS). Bullying groups would be questioning the intended comedic undertones of a clearly abusive father, while anti-violence groups would be outraged at the physical actions against the father throughout the video. That “father” in the video was poor Douglas C. Niedermeyer. He was clearly just a victim of his own oblivious timing. When people ask me what my favorite year of music was from the 80’s, I answer 1984. To be honest though, no one has ever asked me that question, but that is my honest-to-goodness, swear-on-Lionel-Richie’s-sweet-1984-jheri-curl answer! Nineteen eighty-four had it all – the beginnings of hair metal emergence with bands like Ratt and TS. Hip-hop groups were popping up and a certain trio from Queens called Run-DMC was starting to catch my attention. All the big stars were hitting hard in 1984 too – Prince, Madonna, MJ, “The Boss,” Huey, and Rick Springfield, and you had 70’s rock staples like Van Halen and ZZ Top enjoying arguably their best year as well. 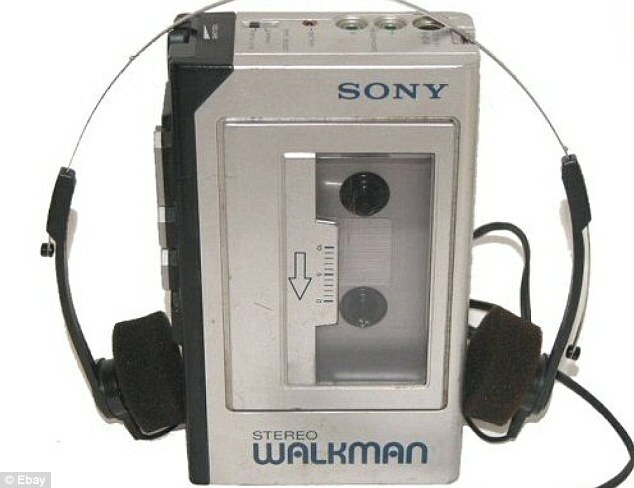 A music lover could have gone broke at Sam Goody buying cassette tapes in 1984 with all of the good music. I challenge you to look at the hits from that year, and find me a better year. Well, 1984 would be the best Twisted Sister would do on the charts. “We’re Not Gonna Take It” peaked at #21 on the Billboard Hot 100. It would be their only top 40 single. 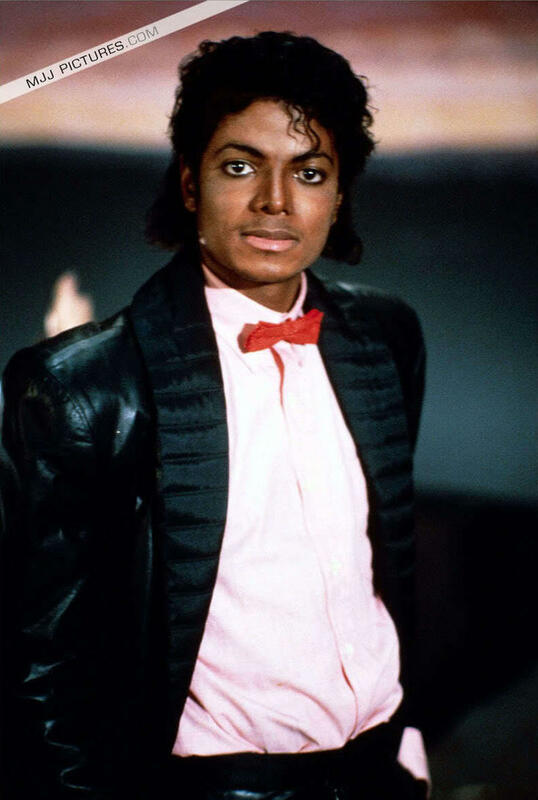 The follow up single was another similar type song and video called “I Wanna Rock.” The song featured a new protagonist and that didn’t fare quite as well. And finally, it took Twisted Sister to tell us that sometimes your best won’t do. Thank you for not handing out a participation ribbon fellas, because sometimes no matter how hard you try, it’s just not enough. 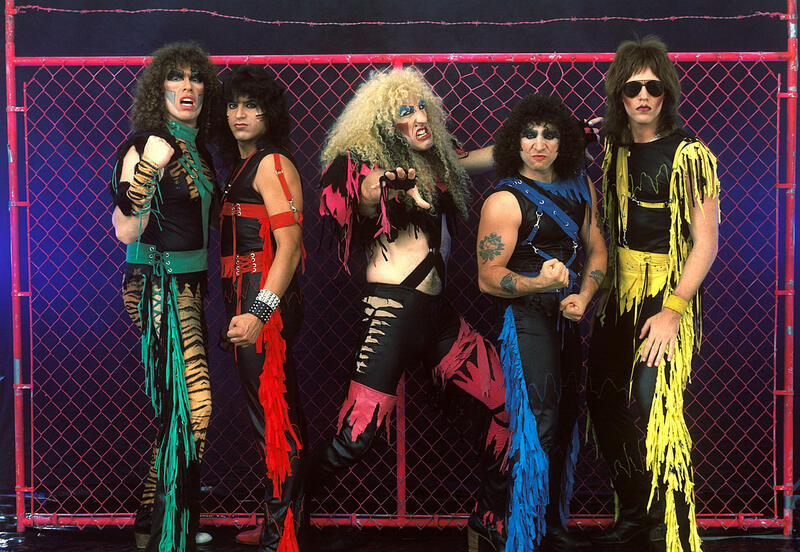 Dee Snider joined Twisted Sister in 1976, and were kind of an underground sensation for many years, but it wasn’t until today’s song and video in 1984 that they broke through into mainstream success. I actually watched a two hour documentary on Netflix about the band a few years ago called “We Are Twisted F****** Sister!” The documentary was a little too long for me personally, but it gives a good account of the band’s origins and rise in popularity. The ensuing video from “We’re Not Gonna Take It” was a call to arms for America’s misunderstood, metal-lovin’ youth. It was our 80’s version of what our parents went through with The Beatles in the 60’s or Elvis in the 50’s. It wasn’t necessarily about Twisted Sister. It was about a movement in music. It was about outcasts with strange hair and makeup playing loud rock music somehow becoming cool. It gave hope to a new generation of musically talented misfits and misunderstoods in schools around the country. It was also about those that made it. It was about Motley Crue, and Ratt, Hanoi Rocks, and Cinderella. And this video also revived the legend of one Douglas C. Niedermeyer. Check it out. If you didn’t make it to the end of this post, then you’re worthless and weak! Now drop and give me 20! P.S. If you’re a little too young to understand who Douglas C. Niedermeyer is from the TS videos, then let this next clip from the classic movie “Animal House” catch you up to speed. I loved that “Bowzer “from Sha Na Na was part of the group. One of the definitions of grinding something though is to sharpen it. As iron sharpens iron anyone? All the grinding can be worth it. Embrace the grind. To “embrace” something is to accept something willingly and enthusiastically. But don’t you just hate those people sometimes? It sure is easy to roll the eyes at those type of people, or let out a heavy sigh at a mundane task that we’ve done a thousand times. Embracing is hard when it’s something we don’t want. Growing up in the 80’s, my jobs consisted of odd jobs that are still teenager-related to this day. I had the occasional babysitting gig through the year. I worked a girls’ basketball camp or two before my senior year of high school. But mostly, I mowed lawns with my best friend Barry during the summer. I worked on my tan as sounds of Van Halen and Guns n’ Roses and LL Cool J reverberated into the depths of my brain while mowing and edging lawns for neighbors and around town. I mowed those many lawns with one of these things hanging from my belt loop or strapped over my shoulder. There’s not much to “the grind” when you’re young. Everything is new. You’re making money for the first time and spending it on frivolous things. I was living under my parent’s roof, so there wasn’t a “struggle” to make rent or pay the electric or gas bills. Maybe there was a car payment or an occasional date involved somewhere during those days, but for the most part it was just spending money for more cassettes! My 17-year-old daughter got her first real job a little over a week ago working as a cashier at a local grocery store, so she is just beginning to learn about “the grind” and workin’ for a livin’. She’ll be asking about taxes and everyone’s favorite friend, “FICA” soon enough, but for now she’s excited. She came home with her very first check yesterday and it was for $141. When you’re 17, $141 mine as well be a thousand dollars. Work that checkout lane, girl! But she’s on her way. She’s learning about responsibility and being a team player. She’s learning about accountability and sacrifice, and she’s also learning about the importance of comfortable shoes when you’re standing the majority of the day for your job. I want her to be excited about this job. I want her to be proud of her monetary accomplishment, and I want her to be a good employee. Her excitement makes me think about various jobs I’ve had through the years and that feeling of excitement and anticipation that came with that new job and new co-workers. I hope it never does, but the day may come soon enough where she will wake up and feel like it’s the same day as yesterday and work won’t be as exciting. There will be no newness to it. It might even be hard and unpleasant and unrewarding. Even if it becomes a grind, I hope she learns to embrace it, because she’ll be better and she’ll be sharper for it. If we learn to embrace the grind, we will all be better for it. Anytime you can get a harmonica solo into a hit song there has to be another level of appreciation for something like that! I, for one, have always appreciated Huey Lewis and The News. Sure they have a few songs that make me want to scratch my ear drums for relief (“Hip to Be Square” anyone? ), but for the most part Huey Lewis and his band provided some of the best sounds of the 80’s. 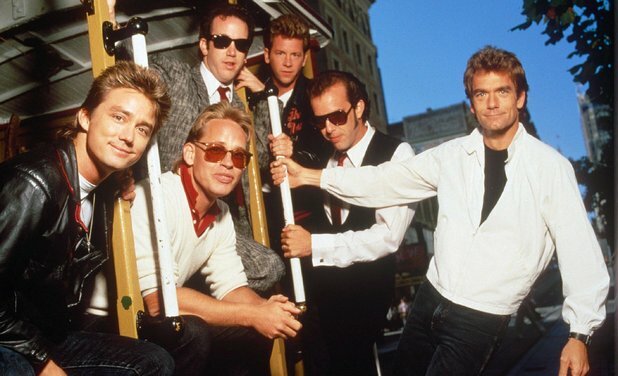 They formed in San Francisco in 1979 and broke into mainstream success with one of my favorites – 1982’s “Do You Believe in Love?” And though today’s song and video is not particularly in my top five of favorite Huey songs, nor a big hit for the group, this track, also from 1982, is an ode to the working man or woman. It’s an ode to all of you out there grindin’ every day and earning an honest dollar. It’s now a soundtrack song for my 80’s-music-lovin’ daughter as well. A shout out to Huey Lewis and continued prayers and good thoughts for his battle and ultimate recovery from Meniere’s disease which has caused him to cancel all of his 2018 shows. Thanks for reading all of you that continue workin’ for a livin’, and remember to embrace the grind today. In the summer of 1984, America took a stunning crane kick to the face when a karate movie featuring a young Ralph Macchio and an aging Pat Morita debuted and proceeded to win the hearts of Americans everywhere. The underdog story features an unlikely friendship between a Jersey kid relocating with his mom to Recedo, CA, named Daniel LaRusso (Macchio) and the maintenance man (the late, great Pat Morita) at the apartment complex he and his mom move into. Throw in a gang of karate bullies, their ex U.S. Army Special Forces Green Beret sensei, a few cool songs like this one today, some iconic sayings (“Wax on. Wax off.” “Paint the fence.” “Sweep the leg.” etc. ), and you had the makings of a classic movie. And that’s just what it became – classic. Around that same time I owned a “how-to” book on Judo. Judo was very popular for some reason back in the 60’s, and I’m pretty sure that’s when the book was written. I’m not even sure how I came to possess such a book, but I thought I could read the book, look at the pictures, and teach myself Judo all from the comfort of my own bedroom! Sure, it wasn’t karate, but it was still a lot of kicking and punching, and I was going to be a total badass! Well, amongst minor details like my overall lack of desire and dedication, I also didn’t have a partner to practice on nor anyone to tell me if I was doing everything correctly. Eventually (like two days later), I just gave up on learning judo, but told myself I would learn some sort of martial arts at a later date. I never did, but I always imagined that one day I would be the skinny underdog who was picked on but eventually became a karate champion by defeating those same bullies along the way in a tournament in front of thousands. Oh, and I would win the heart of the prettiest girl in school just like Daniel LaRusso of course! Fast forward to the spring of 2018 and as I was browsing through an issue of “Sports Illustrated,” and I saw an advertisement for a new Youtube series called “Cobra Kai.” Realizing that this new series stars the original characters from “The Karate Kid” in Macchio and his enemy, Johnny Lawrence (outstandingly played by William Zabka), I watched all ten 30 minute episodes over the course of about three days and loved it. I loved it so much I told my wife and daughter that they needed to watch it, and so I watched it a second time with them. The story picks up some 30+ years after the All Valley Championships and catches us up on what has transpired, and what is going on in the lives of Daniel and Johnny. Lawrence, down on his luck, reopens the defunct Cobra Kai dojo reigniting a rivalry with the already successful Daniel LaRusso. Throw in some flashbacks to the original movie, introduce a whole new crop of young talented characters, provide some brilliant writing by Josh Heald, Jon Hurwitz, and Hayden Schlossberg, and you have something special. It’s definitely PG-13 for all the language and high school humor, but if you are a fan of “The Karate Kid” or just a fan of well-written, action packed comedy dramas then you should give this series a shot. 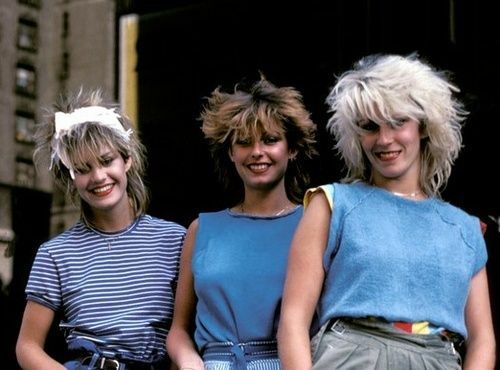 The movie and subsequent MTV video helped introduce us to three quirky young women that summer called Bananarama. With their smoky eyes, messy, low-hanging bangs, and British accents, my 13 year-old self was immediately seduced by this London trio. I was transfixed to my MTV anytime this video appeared. “Cruel Summer” helped propel Bananarama to top 10 status for the first time ever in the U.S., and the song also reached #8 in their native UK. That alone made me watch it again just to see if I could tell. Not sure that I really could, but maybe you can when you watch. Nonetheless, this song is actually a rather dark song about being alone under an oppressive heat watching the summer slip by. But with it’s upbeat tempo and catchy chorus, it still has to be a staple on any summer playlist. Thanks for reading, and just remember: Strike first. Strike hard. No mercy. I hope none of you will be getting stabbed in the back metaphorically, or physically for that matter. I remember how every May brought the anticipation of the end of another school year, and the beginning of summer. I have a daughter who is a junior in high school now, and I was curious about one timeless end of school year tradition the other day. On my way to drop her off at school, I asked her if they still sell yearbooks at school. She said yes. I followed up by asking if kids still sign them for each other, and she replied affirmatively even saying that they have a “yearbook party” at the end of the school year. Apparently all of the students eligible to attend the party (my daughter thought you had to have at least a 2.0 GPA to attend) gather in the gym one afternoon during the last week of school and sign yearbooks for each other. I remember how exciting, yet scary it could be when it came to yearbook signing. Do I dare ask that person? Will they ask me so I don’t have to ask them first? It was intimidating for an introvert like myself to go ask one of “the cool kids” or one of “the pretty girls” to sign my yearbook. And then if they did sign my yearbook, what would they say? If I had to sign theirs, what would I say? “You’re cool. Have a great summer. Glad we had class together. See you next year. Hope we have classes together next year.” Lame. Lame. Lame! Oh the pressure of the yearbook signing! I’m sure I would be horrified by some of the things I wrote 30-35 years ago. I have no clue what I wrote to other people, but I know one year I signed many of them “Your friend and mine, Kyle Kerwin.” Insert slapping my forehead emoji right here. Surely yearbook signing anxiety is a thing, right? Can one see a therapist for this? I just remember that you had to be either witty, or sincere and nice (without sounding creepy). The really good signers could do both. Signing a yearbook that can still make that person smile all these years later is a resume’ worthy skill in my opinion! Whatever it is these days I still love that I have these little thoughts frozen in time on paper from the people I grew up with. She was an original member of the band Shalamar from 1977-1983 before embarking on her successful solo career that saw her garner a Grammy in 1988 for Best New Artist. 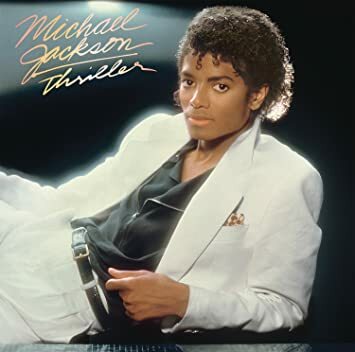 This song would be the seventh of eight straight singles to appear in the top 10 of either the Billboard Hot 100, the U.S. R&B charts, and/or the U.S. Dance charts between 1987-1989. During this time in the late 80’s, it was also becoming common for R&B singers to include rappers in the extended versions of their songs. Many times the rap parts would be edited out for Top 40 radio and you would never know they existed. Who was cooler back in the 80’s rap game moreso than the duo of Eric B & Rakim. There’s no question mark because that’s a rhetorical question. The answer is nobody! The fact that the “Paid in Full” duo lent their talents to a Jody Watley jam upped her street cred in my books, and not the other way around. This song peaked at #9 on the Billboard Hot 100 in 1989. Here is the extended remix featuring the musical rap stylings of MC Rakim and his DJ, Eric B, who happened to be back on tour this spring for the first time in 25 years. I wish Eric B. & Rakim and Jody Watley were my “Friends,” because I’d let them sign my yearbook, and then I’d retroactively be the coolest NHS Tiger class of 1989. The hair. The makeup. The look only Patty Smyth could pull off in 1984. Another grown man nearly brought me to tears last night and even this morning as I reflected on his true story. It’s one of those “feel-good” stories that we all need to soak in from time to time amidst the constant barrage of garbage we’re fueled with from media news outlets every day. Andre Ingram made his debut in the NBA with the Los Angeles Lakers last night at the NBA ripe old age of 32. Andre has been grinding in the minor league of basketball for ten years. Ten years! I hate to waiting longer than 10 minutes for my food at a restaurant, and this guy toiled on buses and stayed in cheap motels in outposts like Fort Wayne, Indiana, Erie, Pennsylvania, and Sioux City, Iowa. The NBA’s developmental league formerly known as the “D League,” but currently called the “G League.” The “G” is for Gatorade, the current sponsor, and the league is the home to many hooping hopefuls trying to work their way up to a spot in the NBA. Very few succeed out of the approximately 10-11% that are ever called up to the NBA. Most of the players in the G League are making less than $27,000 per year, which is a far cry from the average NBA salary of $6.2 million this season. Hell, teachers in Oklahoma are making more money than G-leaguers and we all know by now they aren’t making near enough money. Ten years. How many of us would have given up on a sports dream if it meant toiling in the minor league system for that long? Patience and perseverance and sacrifice is what I see when I look at the graying hair of Andre Ingram. He’s the first to admit there were times when he was discouraged. Times when he thought this day would never come. Times when he thought about hanging it up. Patience and perseverance. And what kind of wife would support a husband playing a game for that long and all of the travel and nights away from the family? A wife willing to sacrifice her happiness at times for the dream of her husband. It’s beautiful really. Were there fights and arguments at times? Surely. Were there tears and anger and disappointment along the road? There had to be. They would not be human otherwise. Still, I got to sit and watch most of the game last night as Ingram not only played, but played well, pouring in 19 points in a Lakers’ loss to Houston. He made his very first shot (a three-pointer no less), and even received chants of “M-V-P! M-V-P!” at one point during the game. It had to feel good to be him in that moment last night. He’ll get at least one more game in a Laker uniform in their season finale’ tonight against the Clippers. He may get some more games. He may never get another into another game. Either way, I felt good for him last night and for his family. I was happy for the warrior within him who persevered and never gave up. Kudos to you, Andre Ingram. Ironically enough my Bible reading this morning consisted of a true warrior and his name was David. Almost everyone has read or heard the story of the handsome youngest son of Jesse who bravely stood up to the nine foot Philistine named Goliath. David rejected the traditional battle gear and opted for his rod, his sling, and five smooth stones. It took just one shot to the giant’s head to take him down and turn the momentum of the battle against the Philistines and in favor of the Israelites. In Malcolm Gladwell’s book titled “David and Goliath: Underdogs, Misfits, and the Art of Battling Giants” Gladwell points out that the victory by David was not necessarily an upset of epic proportions because David possessed the right combination of attributes to actually own the advantage in a non hand to hand combat situation. He wasn’t weighed down by heavy armor and he obviously was a great shot with a sling and rock. As a young man who had spent countless days and nights defending his father’s flock of sheep from bears and lions, David was already well equipped with the skills to overcome obstacles and the skills needed for that very meeting with Goliath. Today’s featured video is just another ho-hum apocalyptic scene shot in or on top of a warehouse somewhere. It’s hysterically campy and it makes me laugh thinking that there could be apocalyptic dancing someday which could make this video prophetic. Video cheesiness aside, this has always been one of my favorite 80’s songs because of Patty Smyth and her vocals and just the rhythm and pace of the song. Sure the lyrics may be referring to a love affair of some sort, but I like to think that anyone who has persevered through trials and tough times like the aforementioned Andre Ingram or in the ancient days of David, deserves to think of themselves as a warrior. This song kind of pumps me up. Sometimes I wish I could walk into a room with intro music. If so, this would be one of my go-to songs. If I could only pull off the makeup and the hair as brilliantly as Smyth! Go be a warrior today in whatever you do, and thanks for reading. (L-R) Michael Anthony, Sammy Hagar, Eddie & Alex Van Halen… in a photo from 1985-ish taken by famed rock photographer Chris Walter. Where has February gone? It was just January wasn’t it? It feels good to be back on the keyboard and banging out this appropriate post for February featuring my all-time favorite band. It was Richard Gere’s character Edward Lewis in the movie “Pretty Woman” who said, “Impossible relationships. My special gift is impossible relationships.” Well, Edward Lewis doesn’t have the market cornered in impossible relationships. Most of us, at one time or another, have been in an impossible relationship. Hell, there’s probably a relationship right now that you have in your life that seems impossible whether it be your significant other, a family member, friend, or co-worker. An all-time great movie. A movie I saw with a college girlfriend in Shawnee, OK, back in the spring of 1990. Maybe relationships aren’t impossible, but relationships are difficult at best. The ones worth fighting for that is. They’re hard work. They’re complex. The highs and lows can be agonizingly frustrating and stunningly beautiful at the same time. Whether 17 or 77, relationships can be satisfying and unsatisfying on multiple levels and at different stages along the journey. I’m reminded of this constantly, not only in my own relationships with my spouse, family, and friends, but as the father of a 17-year-old young woman struggling to find her place in this crazy, beautiful, sometimes lonely world. I still remember being a teenager. Always searching. Searching for friends. Searching for a place to belong. Tepidly stretching my horizons with one foot out the door and the other firmly planted within the four walls of my parents’ house. Searching for direction and for life in general… “laying my sanity on the line.” Searching for love. Oh love! How I thought you would never walk in and find me. Day after day, week after week, you denied yourself from me within my peer group. Oh there were glimpses and flickers of it throughout junior high and high school. I still remember my youthful lusts and desires that only a high school teenage boy possesses. I remember the names of all the pretty girls I was friends with. But, oh the daily agony of walking around the halls and campus of high school as the only person without a love of his own! That’s what it felt like sometimes. Lonely. Where was my girl? Where was my cheerleader? What was I missing out on that everyone else seemed to have? Discouragement and disappointment popped up along the way eroding away my confidence and self-esteem. There’s very little of a “long view” when it comes to being a teenager unfortunately. I’m not saying there are no teenagers that think very far into the future. There are, and I’ve met some, but they are in the minority. Most don’t think past tomorrow or this week or maybe past their next English test or their next birthday. Just think about birthdays for a moment, and the milestones they represent – 13 (you’re a teenager! or the Bar Mitzvah celebration in Jewish traditions), 15 (most can get a driver’s permit! ), 16 (you can get your driver’s license – freedom! ), 18 (you are of legal age for many things like joining the military, voting, and smoking – smoke up Johnny!). It’s just hard when you’re a teenager. It’s hard to think about all the potential for that special love and those fulfilling relationships when you’re older and in your 20’s or 30’s or even later (gasp)! It’s almost an un-comprehensible thought when you’re young to have to wait that long. But now being in my 40’s, I’ve long realized that those trying teenage years were just a speck of dust in my life. There were fun and sad and beautiful moments during those growing years, but they didn’t define me all these years later. My wife is currently teaching a life group at our church all on relationships. It’s based on author Danny Silk’s book “Keep Your Love On.” It’s four weeks of soul-searching, pride-crushing, set-your-ego-aside boot camp for strengthening relationships. All kinds of relationships – spouses, friends, family, co-workers. It’s applicable for anyone. She’s been teaching these works for years. I even wrote about it briefly in a 2016 post dedicated to my wife. My wife is totally crushing it by the way. She knows that book forward and backwards. Does it mean she has relationships mastered? Hardly. She’ll be the first to tell you that knowing this information might make it even more difficult, because you know what you’re supposed to be doing, but still sometimes you still mess up. Like I said before – relationships can be agonizingly frustrating, and let’s add messy to that as well. Point in case – the picture at the beginning of this post. You have the always complex brotherly relationship of the two Van Halen brothers. Virtuoso musical talents are handed out to very few people in this world, but they were handed to the brothers (more so to young Edward, who is considered to be one of the greatest guitar players ever). Then there’s the new lead singer that had to come in and develop relationships with these brothers and the bass player, Michael Anthony. Anthony survived both lead singers only to find himself on the outs years ago when Eddie’s son Wolfgang Van Halen was old enough to be in the band and he took over bass duties. These guys had their share of joy and happiness and unbelievable success, but they’ve also had bitterness and jealousy and destructiveness through the years. Bands are a lot like families. There are good times and bad times and sometimes relationships that just don’t work out. It was the first (and best) Van Halen album with then new lead singer Sammy Hagar. However, you will find that some Van Halen fans refuse to even recognize this time during Van Halen’s existence. It’s as if they stopped being Van Halen once original lead singer David Lee Roth exited the picture as Van Halen’s original frontman, and they transformed into a softer, poppier “Van Hagar” instead. But in 1986, the keyboard was playing a bigger and bigger role in pop music in general and with Eddie experimenting on keys and Sammy stepping in to sing lead and also providing some solid guitar playing himself Van Halen was further transformed into a pop powerhouse in the mid 80’s. Who didn’t have a sweet keyboard in the 80’s I ask! May all of your relationships be built on a solid foundation of unconditional love and if you need it, may the right love come walkin’ in for you.